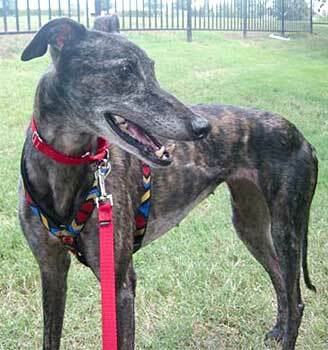 Princess is a beautiful dark brindle six-year-old girl, born August 1998. 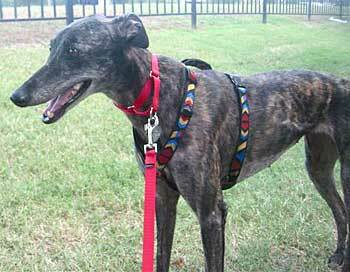 She is double tattooed so her history before finding her as a stray will never be known. Princess' story is truly a fairy tale. Princess has completed all her medical work, and is doing fine. She has warmed up to her foster home, but still is leery of strangers and new environments. She likes the company of other dogs, but it is not known if she is small animal or cat tolerant.